You may have noticed that I've made some small changes to the blog. I've been visiting Spice Up Your Blog and teaching myself how to add new features, which is pretty cool. 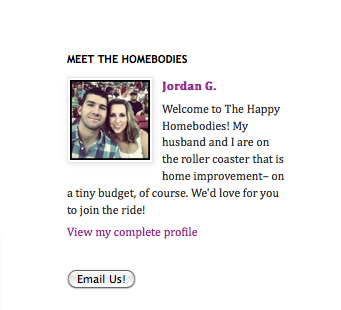 Check them out if you want new gadgets or other fun features for your blog! Anyway, let's check out the new blog features! First of all, I had to update the profile section at the top right. We are no longer newlyweds (one year down!) so that wasn't really valid anymore. And now we have an "Email Us!" button right below our profile information. Click there if you want to shoot us an email– we'd love to hear from you! We also have a new gadget in the right sidebar that shows all the products we have/would like to have from our favorite online vendor, Amazon.com. We are seriously Amazon junkies– we even registered there for our wedding. Most of the products shown are ones we actually own and can positively vouch for, but a few are on there just because they caught my eye. Read the descriptions below to see what we think about each product. The shopaholic in me loves this new feature! I also added some Facebook buttons at the bottom of each post. Now you can "Like" or "Send" each post, just like Facebook. I'm pretty active on Facebook and love to comment and "like" my friends' status updates, so I thought this would be a fun feature for the blog. Lastly, I added an option to respond to blog comments. This may not excite you guys as much as it does me, but there have been many times I have wanted to respond to a specific person's comment. Now I can! Have you seen the 25 free business cards offer from Minted.com? They're actually dubbing them "Mommy Calling Cards," but I find that limiting since I'm not a mommy. 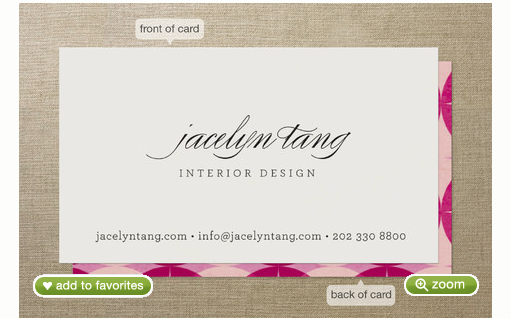 If you're not a mommy, you can customize them as business cards or anything else you might need. You get the 25 free cards, but you do have to pay $7.95 shipping. I ordered mine on Monday! I picked this design and customized it to fit what I wanted (a business card for my stuff I do on the side– artwork, murals, etc). They come on really nice paper and there are tons and tons of modern, stylish designs that you can personalize with different wording, fonts, colors, etc. They usually charge $30 for 25 business cards, so you are definitely saving money. The special offer ends on Sept. 23. That's all I have for today, folks. 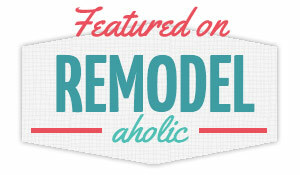 I hope you take advantage of the business card deal and enjoy the new blog features!